DUBLIN — The Irish government has published a “sobering” contingency plan in case of a no-deal exit by Britain from the European Union, a move that officials say would hurt Ireland more than any other country in the bloc. The document, published in Dublin on Wednesday, concludes that the Republic of Ireland would have to “focus on crisis management” in the event of an abrupt divorce by Britain, which would “potentially involve severe macroeconomic, trade and sectoral impacts.” Though it has deep economic ties to Britain, Ireland will remain in the European Union. The plan identifies at least 45 pieces of legislation that would have to be passed by the Irish Parliament to maintain the country’s close relationship to Britain in areas such as security, health, education, border cooperation, tourism and trade. All other parliamentary business may have to be set aside in January to pass these laws, officials said, if London and Brussels cannot agree by then on an orderly Brexit plan. Irish imports and exports depend heavily on trucks crossing by ferry to and from the Island of Great Britain, which acts as Ireland’s “land bridge” to the rest of the European Union. 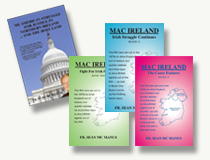 If, after decades of being in a common market, Britain and the rest of the bloc erect customs and regulatory controls between them, Ireland could suffer severe disruption to supply chains, including vital sources of food and medicine. Ireland’s foreign minister, Simon Coveney, described the plan as “stark” and “sobering.” It lays out the need for a range of legal and regulatory measures to deal with such a crisis, including the reintroduction of inspections at Irish ports and airports of goods originating in Britain. But it pointedly omits any consideration of restoring physical checks on goods or people crossing Ireland’s 310-mile land border with Northern Ireland, part of the United Kingdom. The lack of physical checks on that border has contributed greatly to the success of the Good Friday Agreement of 1998, which ended 30 years of violence during the Troubles in Northern Ireland. Mr. Coveney indicated that instead of planning for a hard border, Ireland would seek to hold Britain to the commitment Prime Minister Theresa May has made to a “backstop” arrangement, which would prevent the reintroduction of border checks. Prime Minister Leo Varadkar told journalists on Thursday that he hoped border checks could be avoided for a time, even after a hard Brexit, unless British trading conditions, currently fully aligned with the European Union, began to diverge. Ireland has no plans for a hard border, he said. Britain’s withdrawal is scheduled to take effect on March 29, but Mrs. May is struggling to win support in the British Parliament for the agreement she negotiated with the European Union, in large part because many lawmakers object to the “backstop.” They argue that it would leave Britain tightly tied to the union for the foreseeable future, and impose trade rules that divide Northern Ireland from the rest of the country. Ireland’s contingency plan addresses security problems that could arise with a no-deal Brexit, including Britain’s possible departure from the European policing union, Europol. The European Arrest Warrant, which operates under Europol, greatly reduces the difficulty of extraditing criminal suspects, including political militants, between countries. “Policing cooperation is very close now between the police on both sides of the border, and between Dublin and the Home Office, and I think those ad hoc contacts would probably continue even if the U.K. leaves Europol,” said Prof. Edward Burke, an expert on Irish and British security matters at the University of Nottingham. Professor Burke said he believed that Dublin would attempt to preserve the status quo on the border in the early states of a chaotic Brexit, by allowing trade to flow as before. But that would not be a long-term solution for the European Union, which would be concerned about unregulated products entering its territory. Although the Irish government says it will not make any plans for new border infrastructure, its contingency plan acknowledges the need for new health and standards checks on goods and animals entering and leaving the island. The trade in live animals and food products is a major contributor to the economies of both Ireland and Northern Ireland, with some ingredients for processed items — such as Irish cream liqueurs, processed meat and dairy products — crossing the border several times before being ready for market. If the worst-case scenario remains on the table in January, hundreds of new customs and veterinary inspectors will have to be hired to operate new facilities already planned at ports and airports. Economists have warned that a chaotic Brexit without a deal would cut the value of the British pound, raising the cost of imports. That could badly damage Ireland’s small manufacturers and exporters, who depend heavily on trade with Britain. A hard Brexit would be an “exceptional economic event, which will be met with exceptional measures to support the continued operation of the Irish economy and our international trading links,” the Irish contingency plan says. Even in the event of a no-deal Brexit, Ireland and Britain would remain linked through their Common Travel Area agreement, which predates their membership in the European Union, and that gives citizens of both countries extensive rights to live, work and travel in each other’s territory.